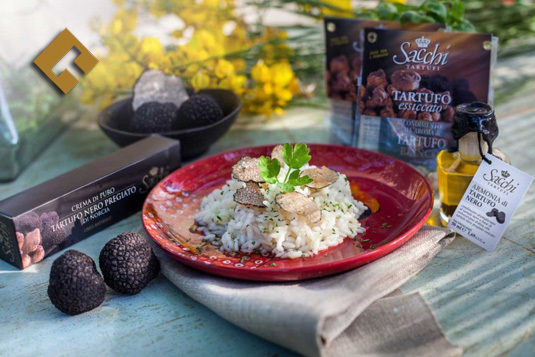 TruffleSquare combines the thirty-year experience of selling fresh truffles of Sacchi Tartufi and possibility of selling worldwide through an e-shop. It is a site entirely dedicated to truffle enthusiasts, from those looking for a precious element of nature to those who prefer to enjoy it fresh or in products ready for use. 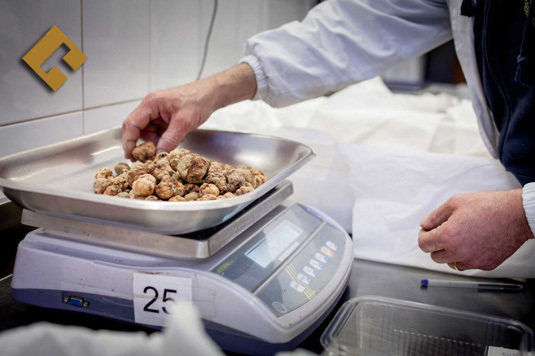 TruffleSquare’s novelty is to be an authentic Truffle Emporium, a reference for all enthusiasts of the precious mushroom with a range of exquisite products and accessories: from the extraction tools to a line of completely natural products with high percentages White truffle; A real delight for the palate! 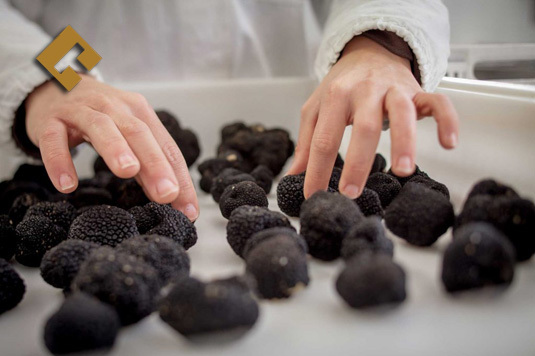 Fresh truffle lovers will find in TruffleSquare quality and transparency, in fact, the sale of fresh truffles on our site is a real revolution in the sector: You can choose the truffle species, quality (extra, 1st choice, etc.) . ), The size and the weight. You can then display a representative image of truffles at 360 ° depending on the choices you choose and, if you wish, TruffleSquare staff will send real-time (at office hours) a 360 ° high definition photo of the truffles that will come shipped. The experience gained in the field of truffles and the provenance of our products from areas such as Alba and Acqualagna is the best guarantee that TruffleSquare can give its customers that the products offered are always of the highest quality and that the fresh truffles purchased are selected through a Manual selection, passing one by one under the eye of our team of experts. TruffleSquare was born as a versatile e-shop site, dedicated to the Italian truffles and the wide range of truffle products & accessories. 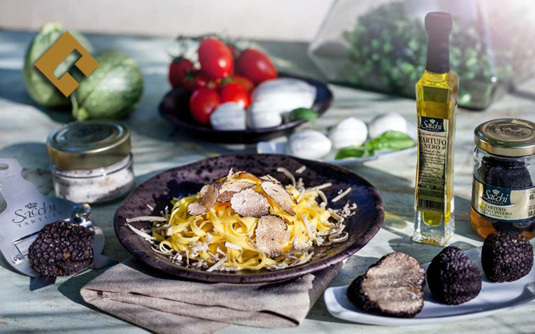 The lovers of cooking and good food, both private and caterers, will find a wide range of products ready to be used in their respective kitchens and also the choice of fresh truffles which can be tailored to suit the needs of quantity and type of truffle product. Trufflesquare guarantees that shipping arrives on time through reliable and efficient courier services. 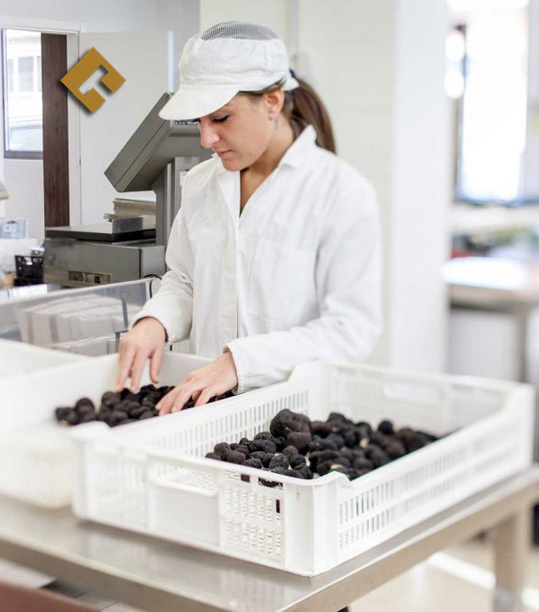 TruffleSquare relies only on international couriers that guarantee packet traceability in most countries of the world so that you choose the recipe & decide to make the cuisine while providing truffle is our responsibility!